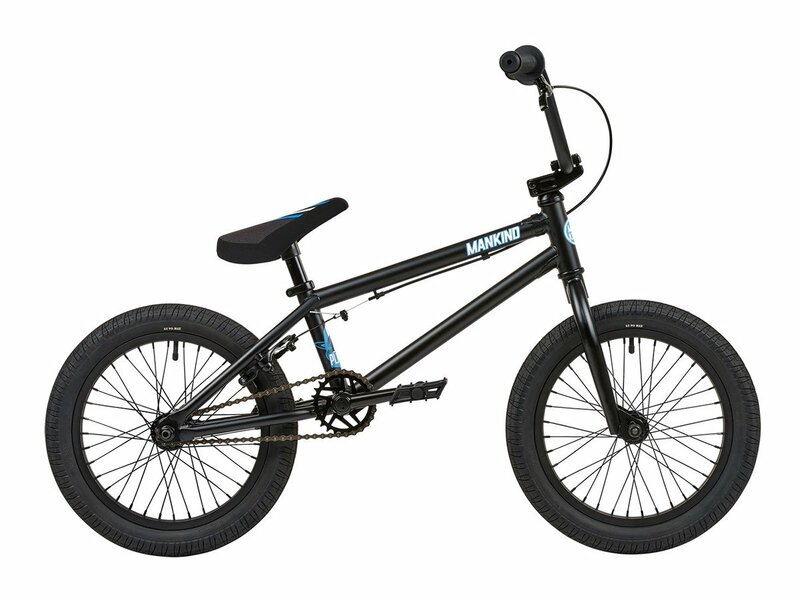 The Mankind Bike Co. "Planet 16" 2019 BMX Bike - 16 Inch | Matte Black is a entry level BMX complete bike, perfect to get the first tricks and jumps at the skatepark done and aimed to BMX rider about 115cm - 140cm. 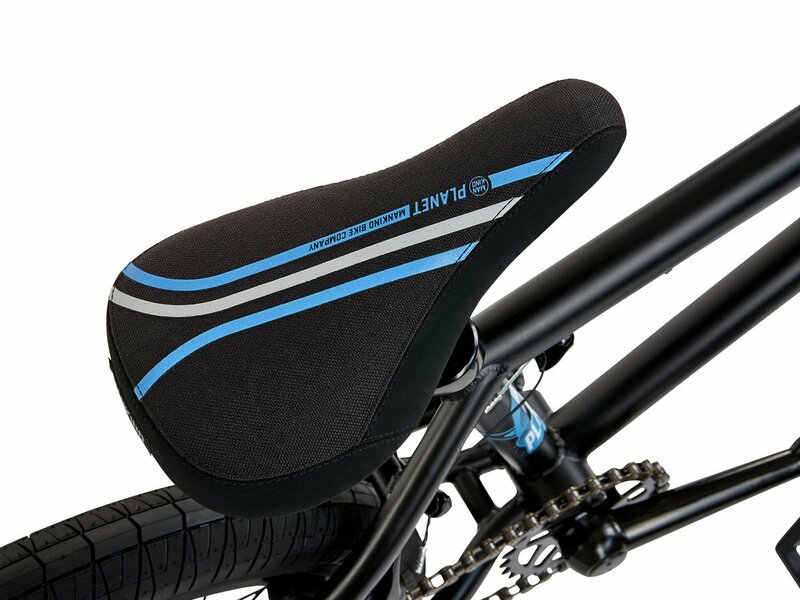 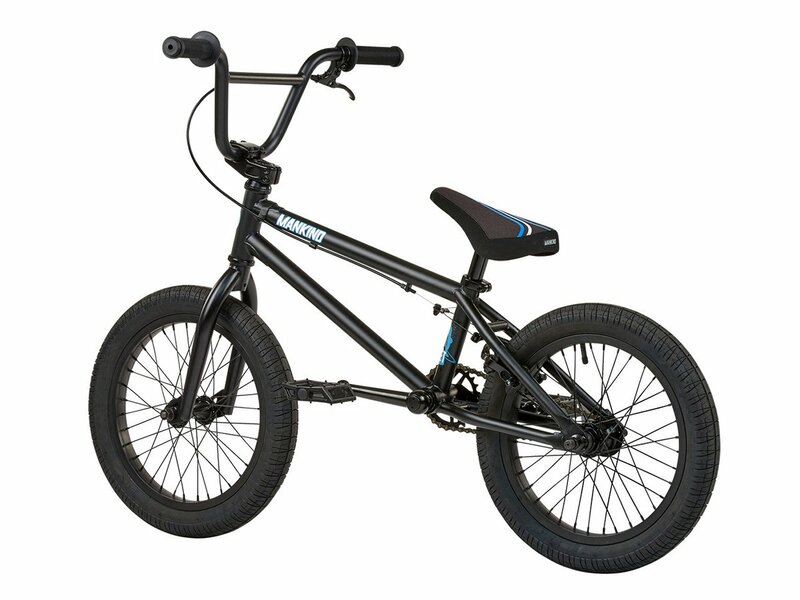 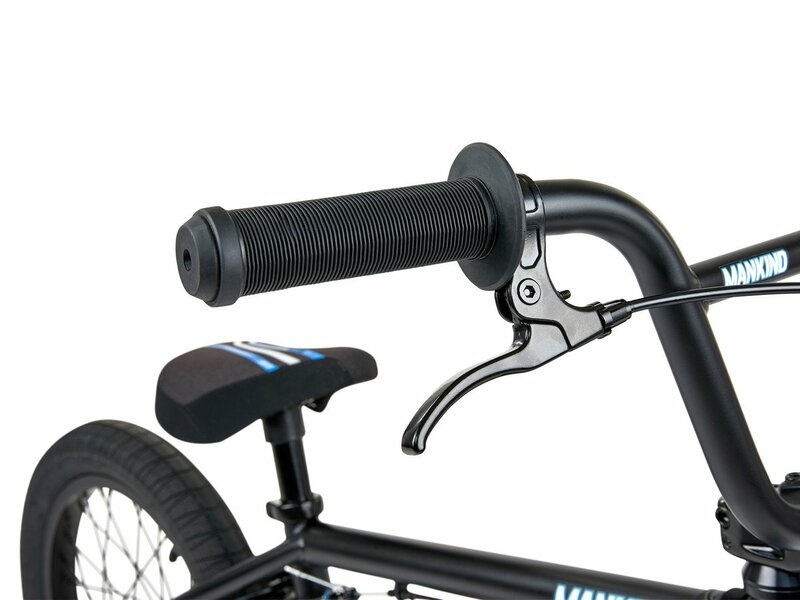 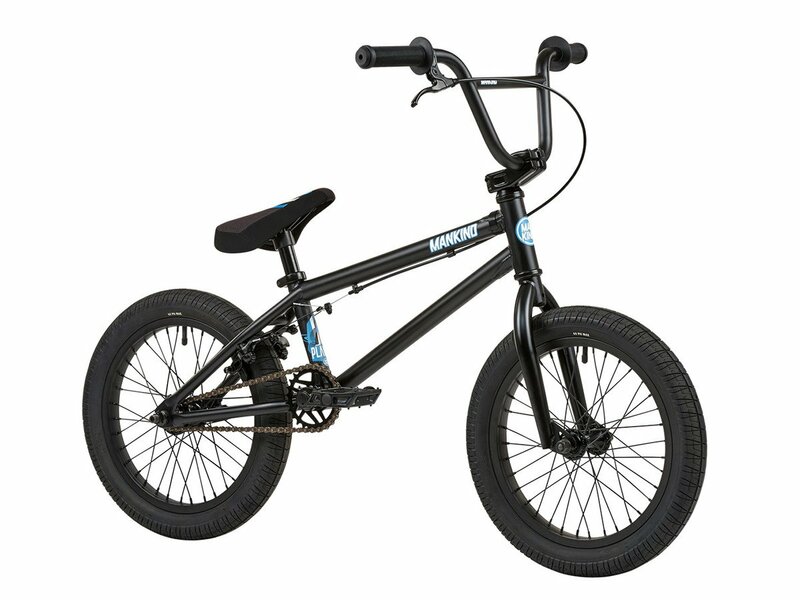 Despite its small 16" size the Mankind Bike Co. "Planet 16" 2019 BMX Bike - 16 Inch | Matte Black has all you do expect from a modern equipped BMX bike. 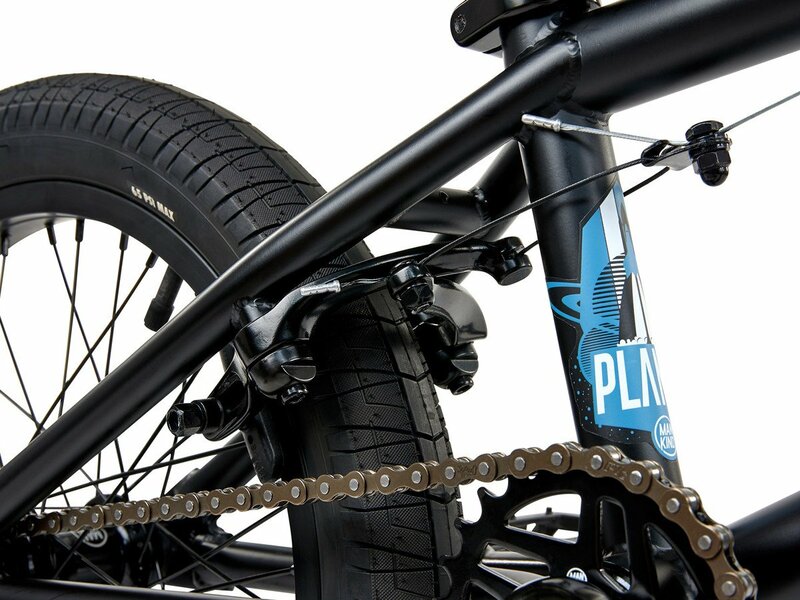 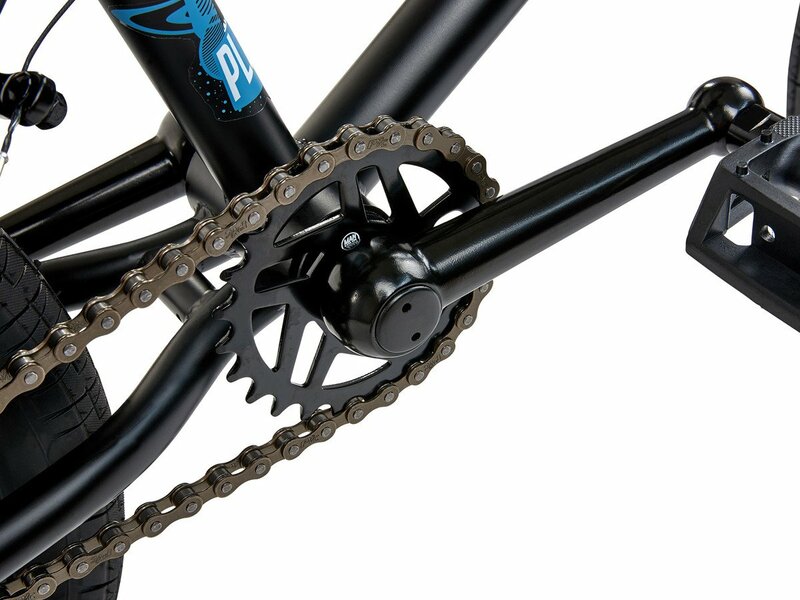 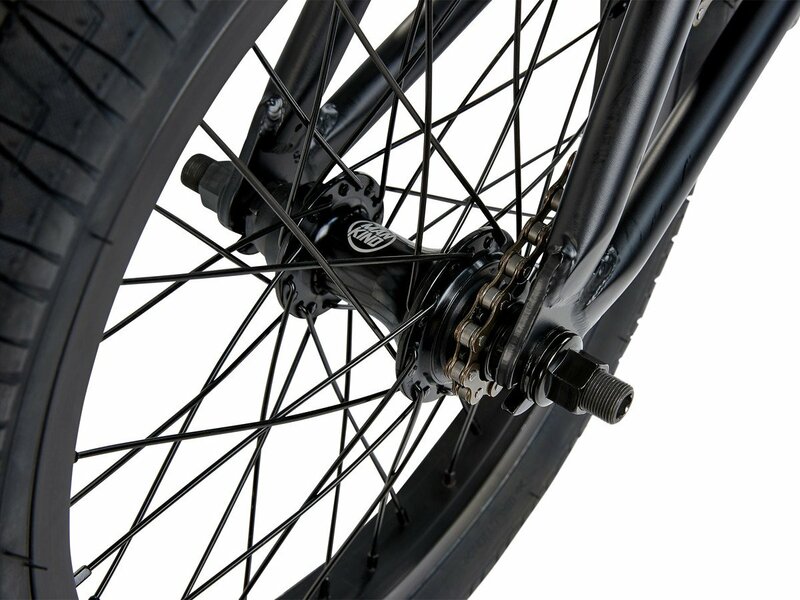 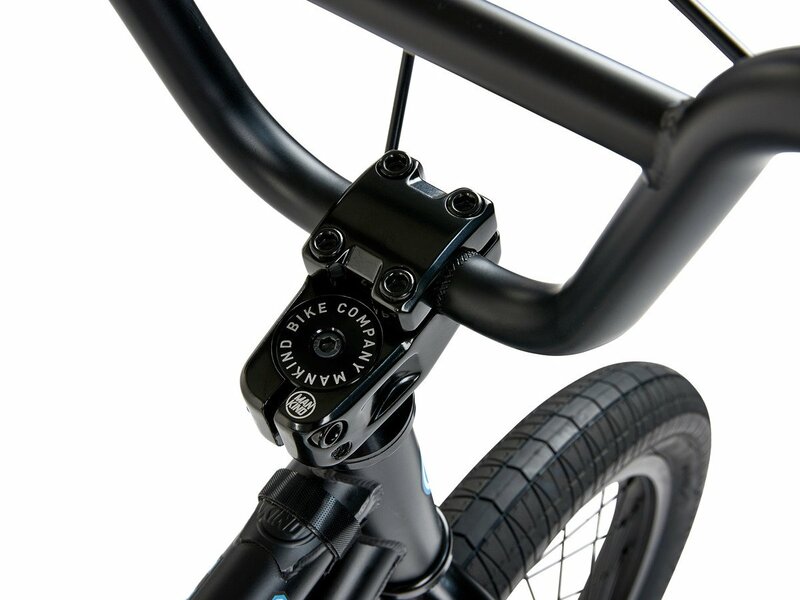 The Mankind Bike Co. "Planet 16" 2019 BMX Bike - 16 Inch | Matte Black comes with a fully sealed Mankind "Control" Cassette Hub 9t with a 14mm axle, 100% Alloy 3-Piece Cranks 127mm, with 4 Spline 19mm Spindle, Mankind "Control" alloy topload stem with 40mm reach, Mankind "Control Steel" Sprocket 25t, Mankind top and down tube gussets for more frame strength and a small padded Mankind "Planet Mid" Seat/Post Combo with printed Planet graphics.